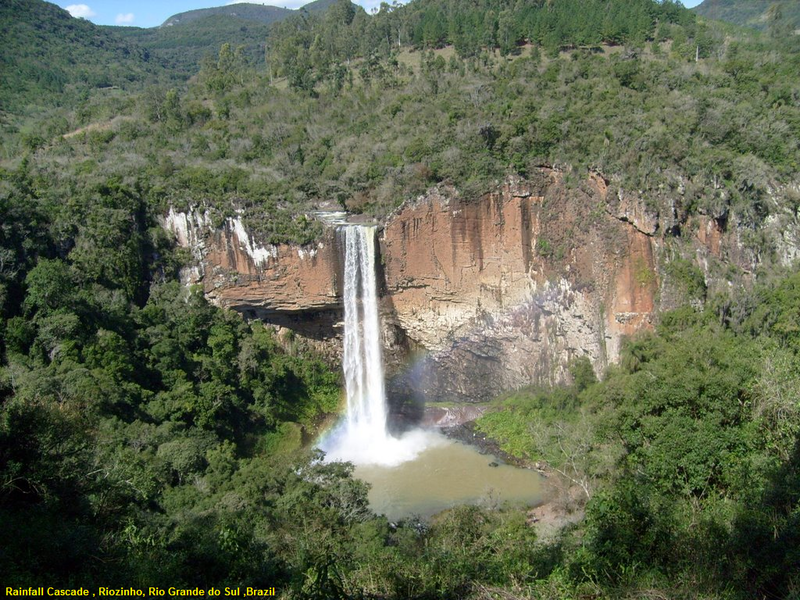 Cascade of the Chuvisqueiro is a waterfall located in the locality of Chuvisqueiro, in the municipality of Riozinho , with 76 m of height. This region is surrounded by several waterfalls and one of these is one of the tallest and most beautiful. Access is easy and marked on Google Maps. The place, as it is a private place, has a camping area, and you can spend the night right next to the waterfall. It belongs to the Rolante River basin , a tributary of the Sinos River . Access is via RS-239 between Rolante and Riozinho , and for 10 km on dirt road. It is located in a private area, where Camping and Visitation is charged, with a good infrastructure and excellent on-site service. It is close to the Cascade of Swallows , another prominent tourist spot in the region.